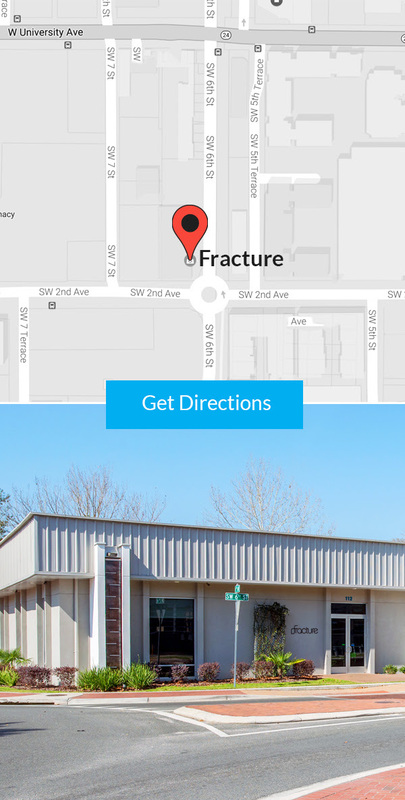 Our Fractory is located in Gainesville, Florida, in the heart of Innovation Square. All Fractures are handmade in our facility, so we’re happy to declare every Fracture is made in America. Please note that Eastern Standard Time applies to any order deadlines, timestamps, expirations, etc. Our office hours are 9am-5pm, Monday – Friday. Here’s a map if you need help finding us!